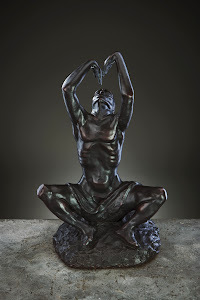 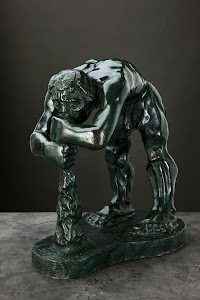 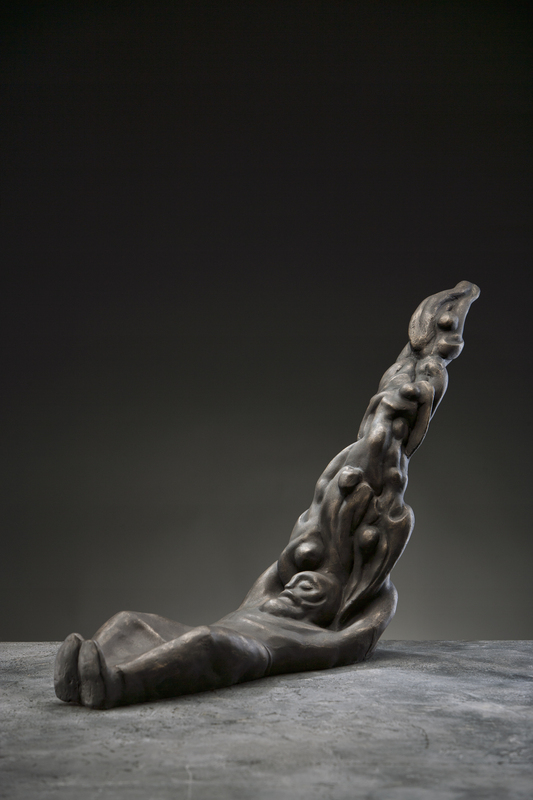 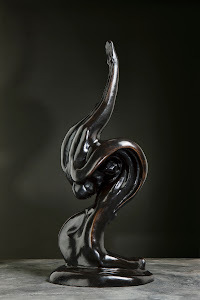 Herman Wald wrestled with the concept of this sculpture for 15 years, because he identified with Jacob and his dreams. It depicts Jacob asleep, lying with his head on the stone behind which the angels ascend and descend the ladder. 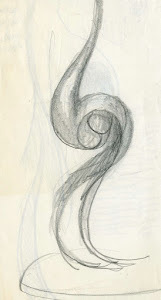 But even more: the angels are the ladder and there is one continuous line unifying Jacob and the angels. 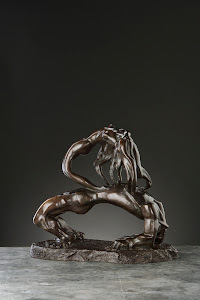 Herman Wald recognizes in Jacob the visionary, his dream reaching out into the stratosphere, into the unknown towards which man is incessantly striving.